i-escape’s Kids Collection is now 3 years of age, and to celebrate, Editor Nadine has announced the award-winners for our top child-friendly lodgings for 2014! These uniquely stylish family favourites encompass boutique hotels, awesome apartments and cool villas suitable for all ages and budgets. 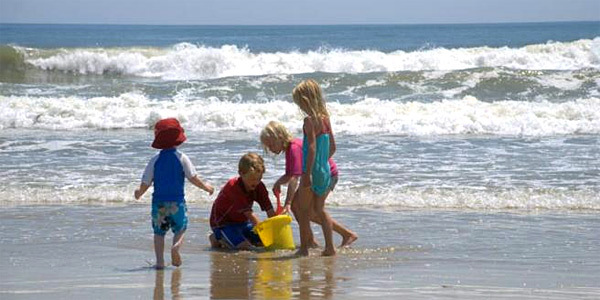 So, whether you’re after somewhere suitable for babies, an unforgettable exotic escape, a kids club with all manner of activities, or a great-value little hideaway, we’ve got the perfect place for you and your family. A most welcome 2014 addition to i-escape’s Kids Collection, this former farm found in the bucolic Languedoc hills has 7 homely apartments for 4-12. 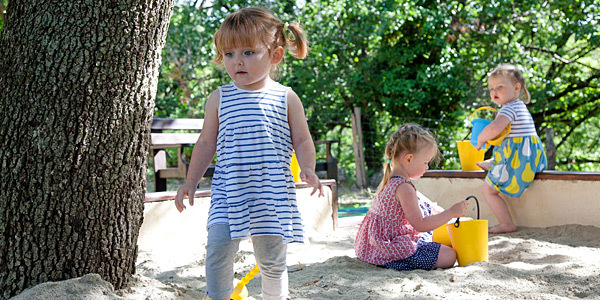 Superlative facilities for younger fry include a petting farm, toddler pool, age-appropriate toys and games, playground, sandpit and ballpit. You also get loads of equipment: from bath toys to changing mats, mini-blenders to baby bicycle seats, as well as complimentary afternoon tea daily and unlimited use of the crèche. Best of all, parents in need of rest and recovery can make use of the free Friday morning PJ parties (children are collected from 7am so you can go back to bed! ), and 2 nights of babysitting per week. Sheer heaven! into Barcelona has a wide range of apartments in the city’s central El Born and Gothic Quarter districts, so you’re bound to find one right for you. All have well-equipped kitchens and you can request one with a bathtub; baby cots, stair gates and high chairs are also available. The owners run excellent walking tours, which can be tailored for kids. 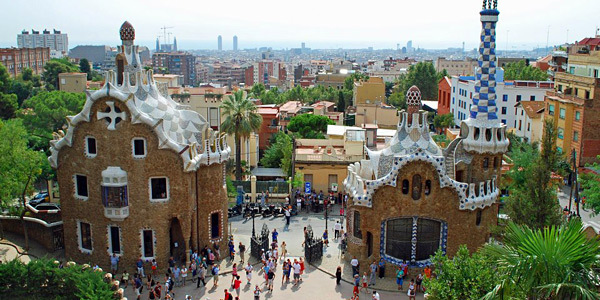 And Barcelona is a fantastic city for the nippers – from the Maritime Museum to discovering Gaudi’s fantasy architecture to cable-car rides – you’ll soon be booking a return visit! 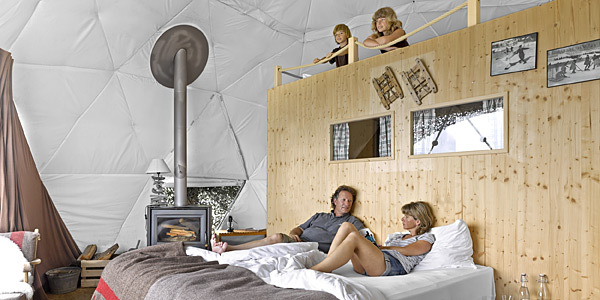 In summer, this beautiful eco-dome camp is where families can discover dog-karting, mountain biking, hiking and paragliding; in winter, sledding, snow-shoeing and skiing (both cross-country and downhill) are the go. Having made the most of the back-to-nature vibe during the day, in the evenings you can snuggle up around the wood-burning stove or watch a movie in the cinema room. Under 12s stay for free; children sleep on the mezzanine levels in the pods. A magical setting and a unique concept. 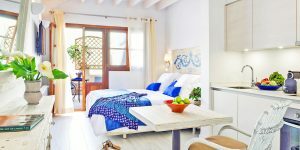 This is a super group of well-priced self-catering villas, studios and apartments right by the beach on the popular Sporades island of Skiathos. There are accommodations to suit all, and there’s no charge for sofabeds and baby cots for the little ‘uns. Nearby, kid-friendly tavernas and grocery shops make for easy family meals (although note that the studios only have kitchenettes). You get a large communal garden for the kids to romp in, plus there are watersports and boat trips close by. 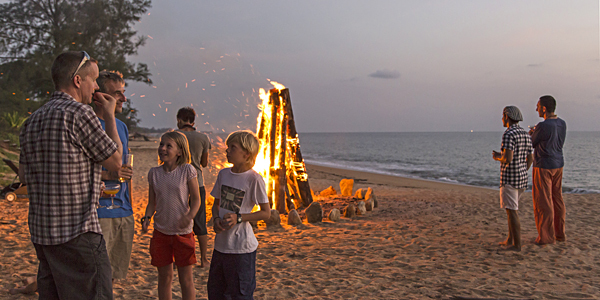 All the ingredients for a laid-back family holiday. If you’re looking for an undeveloped tropical paradise far removed from the flashy resorts that so many once-fabled destinations now feature, this is it. There are no cars on Koh Phra Thong, an island off Thailand’s west coast, but you do get this lovely low-key resort comprising stilted houses and a communal Clubhouse. Set on a glorious, long and safe beach with pristine jungle inland, the staff are caring, and you can go snorkelling, rainforest trekking, have a massage, or just chill out. Martinhal impresses us year after year with its superb facilities for families. There are 4 swimming pools, a playground, and both tennis and football academies. There’s a video games room for over 8s should the weather not behave, and when it does there’s a fab beach for learning to surf and regular picnics and treasure hunts. 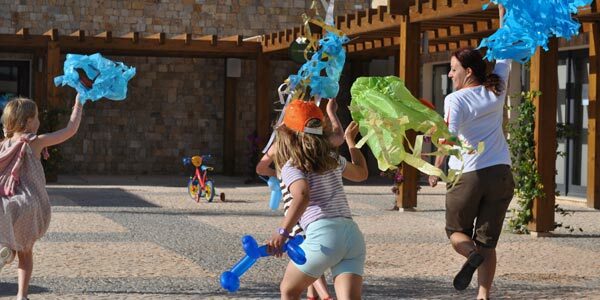 The crèche and Kids Clubs cater for all ages up to 16 (those for older ones are open only in the holidays), with a huge range of age-appropriate activities from face-painting to cooking classes, table tennis to junior lifeguard courses. New to the Kids Collection this year, this dreamy boutique villa stands out not just for its simply stylish and spacious interiors, wonderful staff, and oodles of kids paraphernalia (including DVDs, books, snorkelling gear, toys, games, high chairs and night lights), but also for its superb secluded setting. 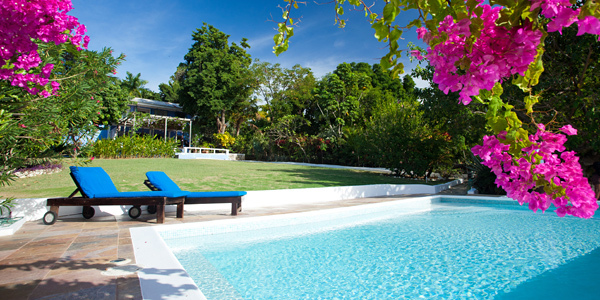 You get your own small sandy beach with shallow water, plus lush gardens with a gazebo and infinity pool. There are 3 bedrooms in the main house and another 2 in the adjacent cottage, which would be perfect for the grandparents or older kids. Heavenly! Another newcomer to i-escape, Fellah Hotel works brilliantly for families of all ages but its unique cultural raison d’etre provides an extra dimension for older kids. 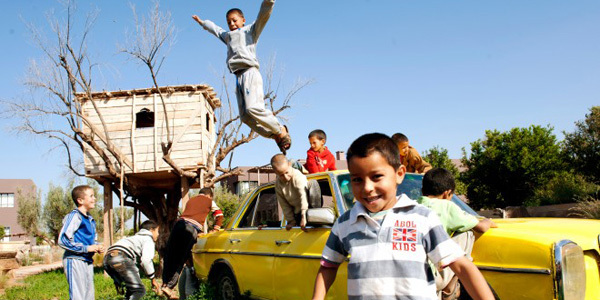 The specialist workshops during the holidays are designed to showcase Moroccan heritage, so tweens could be taught Moroccan cookery, learn to DJ or make a movie, herd goats or create works with the artists in residence. There’s also a volleyball court, a treehouse, a film and book library, 21 acres of landscaped gardens to explore, an actual working farm, and a riding school nearby. This collection of 4 cottages has a great setting overlooking the sea in the village of St Mawes, Cornwall. Each has been lavishly restored and benefits from the owner’s excellent concierge services. The smallest has 2 bedrooms, so is perfect for a single family, a couple have 4 bedrooms and can sleep 8-10 (ideal for a pair of families or a multi-generational holiday), and the largest sleeps up to 12 in 5 bedrooms, great for a big house party. All have sea-facing terraces and gardens, big picture windows to soak in the sea views, and plenty of games, toys, books and a dressing up box. The largest houses have games rooms with mini-pool tables, and trampolines in the garden. For a family-friendly safari experience, head to this huge privately owned reserve, easily accessed just 3 hours from Port Elizabeth. Activities for kids include learning African tales, creating your own bushman paintings, crafting with African beads, tracking and orienteering. They also get a trampoline, sandpit, playroom and table tennis. The guides are superb, and kids under 8 have their own game drives; you could see rhino, cheetah, mountain zebra, giraffe and antelope. Pleasingly, there’s no malaria in these parts.